During the last 10 years, pediatricians have been noticing an unprecedented rise in chronic, but preventable, childhood disorders and diseases. 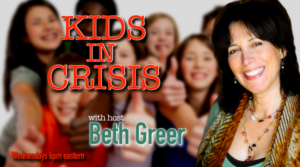 I was delighted to be interviewed by Zac Litwack for PedChat, an online community for pediatricians and pediatric providers, to share case studies about how identifying and reducing exposure to toxins in the home and environment can not only prevent, but heal, troubling chronic health issues in kids and adults. 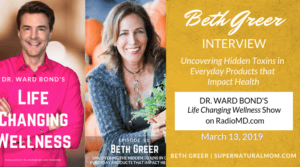 In this interview, I discuss the simple, cost-effective changes I made to reduce my exposure to toxins in my home and lifestyle that healed my tennis-ball-sized chest tumor—without drugs or surgery. I also share how I work with physicians and their patients to identify and then remove the often hidden toxins in their homes. 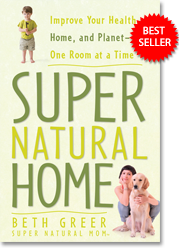 By switching to nontoxic cleaning and self-care products, organic food and eliminating toxic cleaning products and EMFs, I’ve helped people eliminate chronic headaches and allergies, babies were less fussy and slept at night, and a troubling case of infertility was solved resulting in a new baby being born. PedChat: An online community where pediatric providers, entrepreneurs, and industry shakers can share stories, speak their minds, and be inspire. PedChat was created by Zac Litwack, founder of GoCheckKids. GoCheckKids, the sponsor of PedChat, is an innovative, low-cost vision photoscreening product on an iPhone that helps pediatricians detect vision issues in children too young for a visual acuity test. GoCheckKids, voted the #1 Global Pediatric Health Innovator at SXSW 2018, is part of the movement to screen 20 million children by 2020. 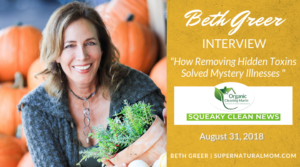 Beth’s Healthy Home Course: a four-hour home study video course and practical guide with Support and Personal Coaching options to help you identify and take the simple and cost-effective steps to reduce or eliminate your exposure to the often hidden toxins in your home, your nutrition, the cleaning and self-care products you use, and in your environment.